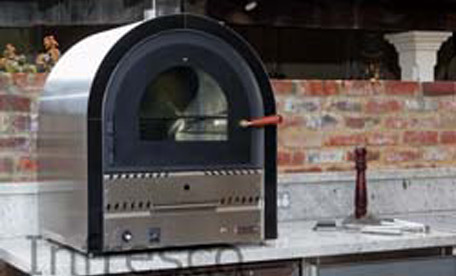 Should I buy a pizza oven for my alfresco kitchen, or should I install an underbench oven? Do you want to bend down to put things in an under-bench oven? Do you have enough bench space for a pizza oven? Most pizza ovens take up a lot of room. If it’s something you won’t use often, you might prefer an under-bench oven. Do you plan on cooking your Sunday roasts in the alfresco? If you get a pizza oven it would need to be large enough. Do you plan on cooking cakes in your alfresco? You might like to go for the under bench oven as pizza ovens will probably burn the cake and some models won’t be large enough for a cake. The pizza oven has become a status symbol. You might want a pizza oven for your friends to admire.